June 27, 2015 – NASA’s Interface Region Imaging Spectrograph (IRIS), designed and built by Lockheed Martin, is celebrating its second year in space today. IRIS observes the low level of the sun’s atmosphere, a constantly moving area called the interface region. During its two years in space, IRIS has provided detailed images of this area, finding even more turbulence and complexity than expected. The interface region lies at the core of many outstanding questions about the sun’s atmosphere, such as how solar material in the corona reaches millions of degrees, several thousand times hotter than the surface of the sun itself, or how the sun creates giant explosions like solar flares and coronal mass ejections. The interface region is also where most of the ultraviolet emission is generated that impacts the near-Earth space environment and Earth’s climate. The IRIS spacecraft orbits Earth and uses its ultraviolet telescope to obtain high-resolution solar images and spectra. IRIS observations, along with advanced computer models, are deepening our insight of how heat and energy move through the lower atmosphere of the sun and other sun-like stars. IRIS has witnessed dozens of solar flares, including an X-class flare, and the foot points of a coronal mass ejection, or CME. IRIS must commit to pointing at certain sections of the sun at least a day in advance, so catching these eruptions in the act involves educated guesses and a little bit of luck. The IRIS instrument captures two kinds of data on all its observations: IRIS collects both images of the sun and a kind of data called spectra. A spectrograph splits the light from a given point on the sun into its discrete wavelengths – a technique that ultimately allows scientists to measure temperature, velocity and density of the solar material behind the slit. When looking at the onset of a flare or at the foot points of a CME, therefore, scientists can parse out how the material moves, and shed light on what causes these eruptions. 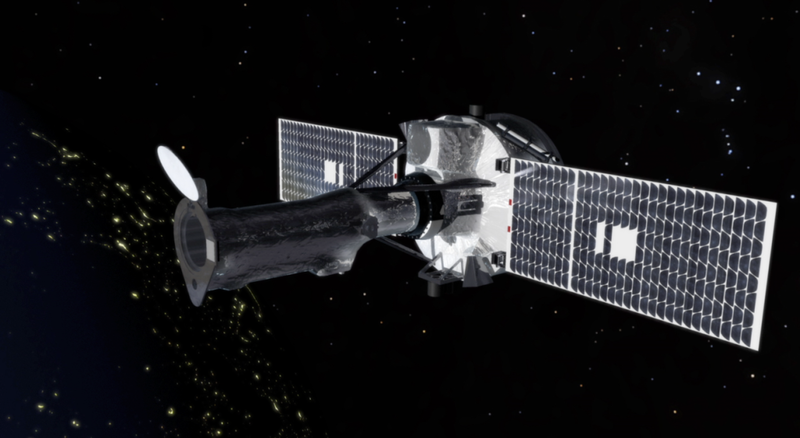 IRIS is a NASA Small Explorer mission that complements the Solar Dynamics Observatory and the Hinode missions to explore the variable solar atmosphere and how it impacts Earth. SDO and Hinode monitor the solar surface and outer atmosphere, with IRIS watching the region in between.